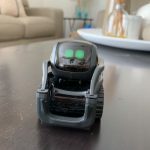 Sphero Bolt is an amazing device that is so much more than just a toy. It can help users learn so much in coding and computer science and bring them in to a bright and vibrant community where they will always be learning and having fun at the same time. 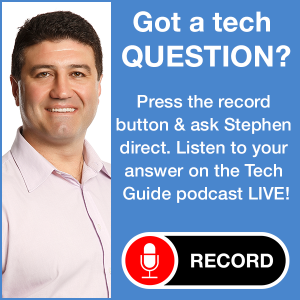 Sphero has always led the way when it comes to products that are fun to use but that can teach you something. 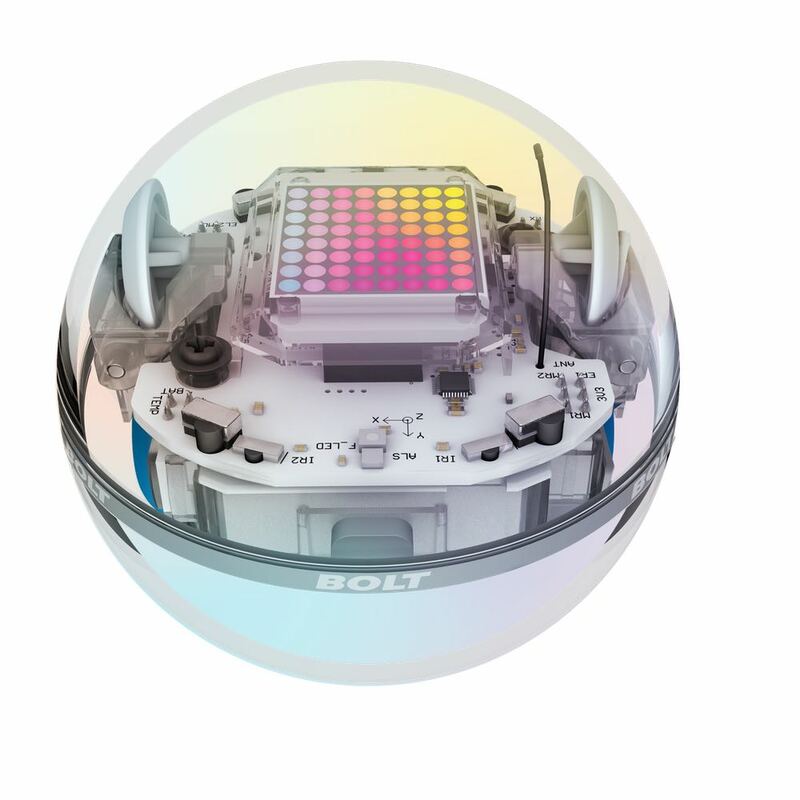 The latest version – Sphero Bolt – with a new LED matrix and advanced sensors takes it to the next level. 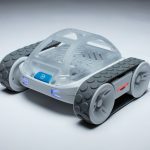 Sphero is an amazing product that can teach users how to code, play games, take part in activities and just drive and play. 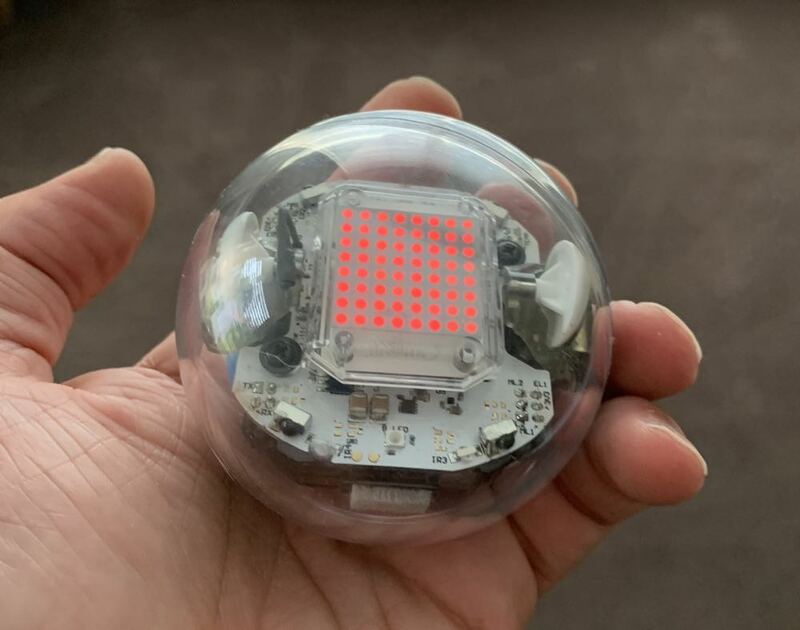 This time the clear spherical robot has an 8 x 8 LED matrix which also opens up coding and gaming possibilities. 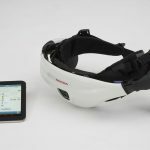 The on-board advanced sensors can now even track speed, acceleration and direction. There is also a compass on board as well as infrared communication capabilities which means the Sphero Bolt can talk with other Bolts. 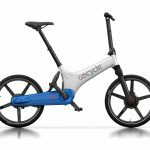 And it’s all housed in a tough scratch resistant shell which means Sphero has the brains and the brawn. There are lots of things you can do with Sphero Bolt – which is controlled from your smartphone or tablet through the Sphero Edu app. 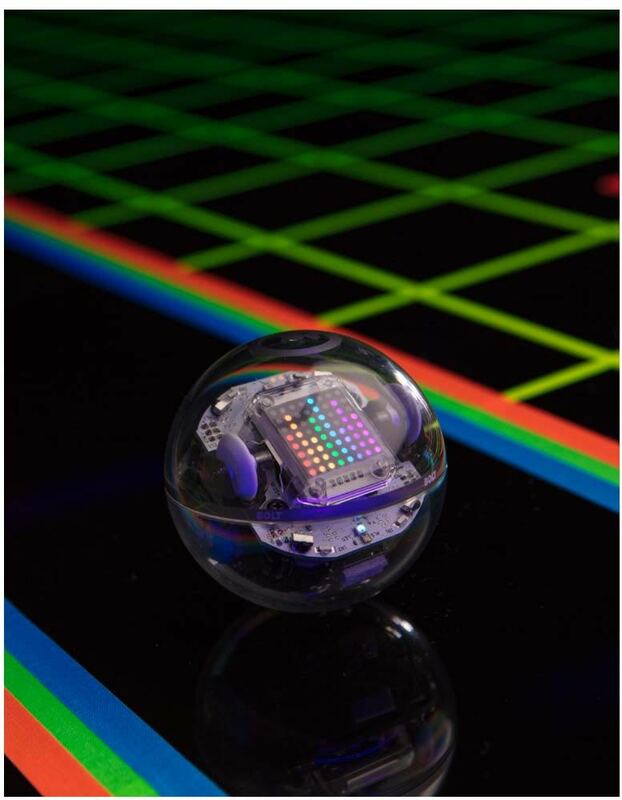 The LED matrix provides information for the user and is just one other way the Sphero Bolt can talk to you. Users will discover a whole community of people who are creating and sharing what they’ve created using Sphero Bolt. Through the app, it’s not hard to put together some code that will automatically drive the robot around the room and even change the colour of the LED matrix. It’s really easy to get started and there are plenty of suggestions you can drag and drop into your workspace to change direction, change speed and establish how long you want it to move in certain directions. These patterns are tracked within the app so you can create drawings based on where you pilot Sphero Bolt. 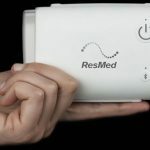 There is even an ambient light sensor on board that allows you to program based on your room’s brightness. You can also get involved in activities which can be found when browsing through the Sphero community. There are so many to choose from including activities to help you learn more about maths, creating shapes and angles and much, much more. 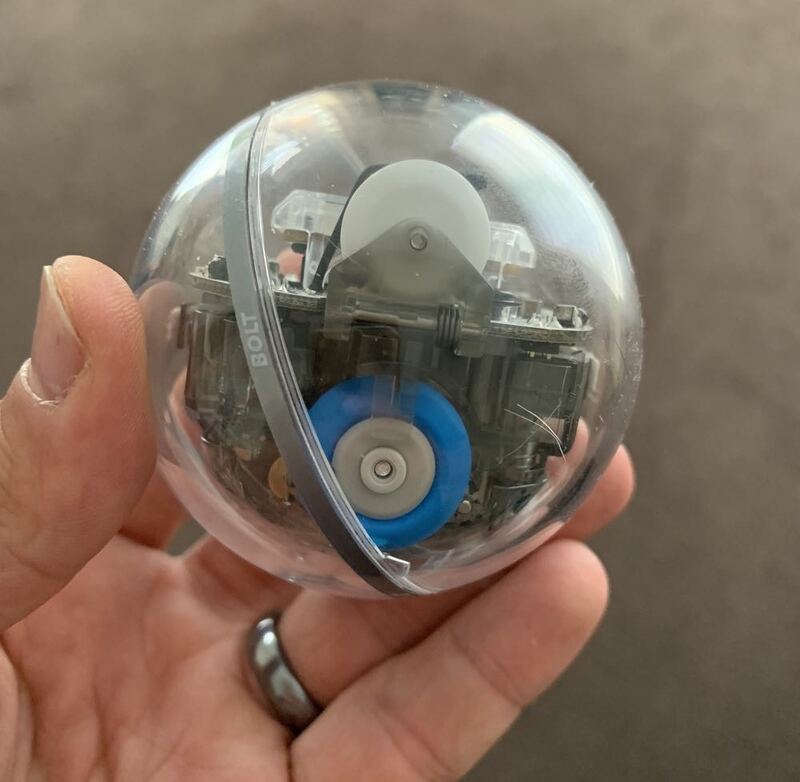 If gaming is more your thing you can create and customise your own games as well as just go freestyle and drive Sphero Bolt wherever you want inside and out. The Sphero Edu app helps users foster creativity through discovery and play. 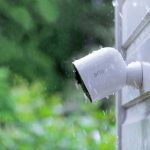 It can go from helping you to learning about code to collaborating with other users on an activity and really unlock your imagination while learning at the same time. 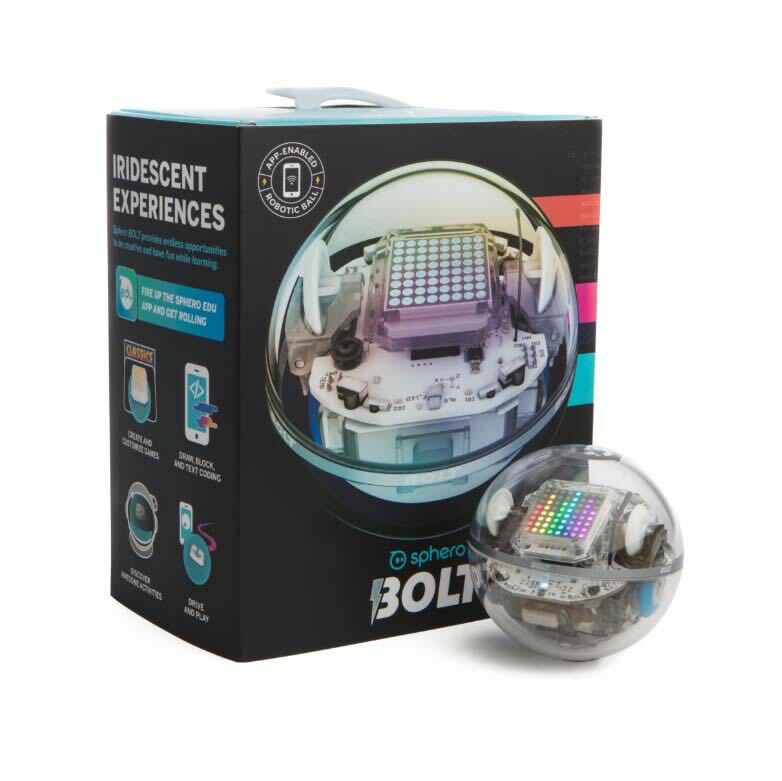 Even if you’ve never learned or heard of coding, you can pick up Sphero Bolt and get started right away. It is approachable from all skill levels and is a valuable education tool. Sphero Bolt is available now for $249.99 and can be purchased at JB Hi-Fi, Apple Stores, Amazon, National Geographic and Officeworks.